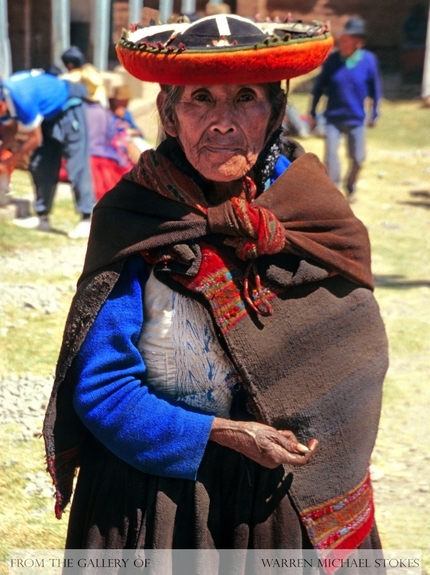 Ancient Inca mothers delivered their children without outside help. As soon as the baby was born the mother would wash the baby in cold water from a nearby stream. Newborn babies were not given a name for the first year. Instead of a playpen the baby was placed in a hole in the ground soon after it was old enough to crawl. This allowed the mother to work without fear of the baby harming itself. Babies were rarely held. However, they were breast feed for the first year. Soon after being born they were strapped onto a papoose type of board or cradle that was similar to what Native North American Indians used. Babies were kept tied to the board, which was called a quirau for most of the day. Approximately, one year after birth the baby received its first name. At this time, the friends and family held a celebration called rutuchicoy. During the celebration a grandfather or uncle cuts the first lock of hair and guests give the family or child gifts. All children were expected to work by the age of six. They began by helping with household chores and gathering fruit and nuts. One of the first things young girls learned was weaving. Young boys began by learning about their future jobs. Laziness was not accepted and play always came second to hard work. Few Inca children attended school. Permanent names were given at the time of puberty. The celebration of girls puberty was called quicochicoy. At this time, a girl fasted for three days before she appeared before her family and friends dressed in nice clothing and freshly bathed. The boys celebration was much larger and usually held during December or Capac Raymi. It was called huarachicoy and it lasted for several weeks. During this time there were enormous meals, dancing, and tests of endurance and strength. It was during this celebration that they received their first weapons. Also, at this time they were required to take a trip to the sacred mountain called Huanacauri. It was on Huanacauri that they would sacrifice a llama in honor of the spirit of the mountain. At this time the young noble boys were expected to have their ears pierced. Then, as they grew older the earlobes would stretch until they could wear large golden earplugs. Sometimes the earplugs would be as large as three inches in diameter. Once they had completed the huarachicoy ceremony they were expected to take on greater responsibility. Inca men usually married near the age of 25 to girls between the age of 16 to 20. Some marriages were prearranged and some were allowed to chose their partners. However, all had to be approved by the local leader. Once married they lived in a one room house that was built by their own clan or ayllu. At this time the man became a taxpayer and was given a piece of land so that he could produce his own crops. Then, as they had children they were allowed to have � acre per girl and one or two acres for each additional per boy. Inca nobles were allowed to have multiple wives. Widows did not have to marry again and they were allowed to keep the family land allotment. Also, the widow would be helped at planting and harvest time by her own clan. Disabled and elderly people were not expected to work. They were supported by the government. Almost nobody lived past the age of 50, and if you did live that long you were given appropriate work.